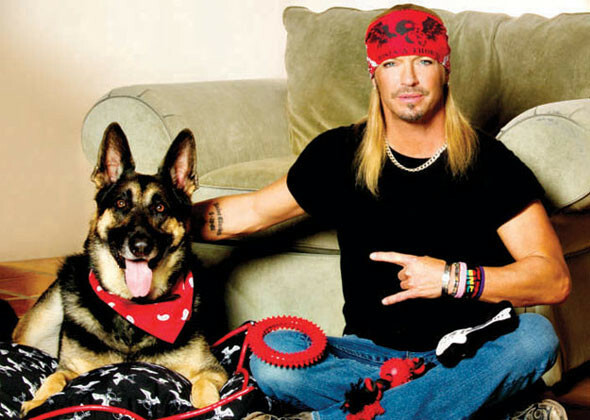 Witty in Fitty: Bret Michaels, Entrepreneur? Listening to Pandora during long workdays inevitably brings some terrible advertising. 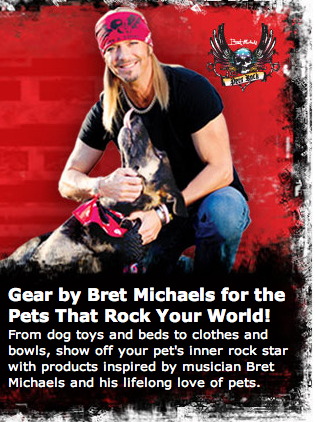 Bret Michaels has designed Pets Rock, exclusively at Petsmart. Hold the giggles. Get your doggie bandanas, crusted collars (and STDs) right this way, folks. bensbitterblog says : 05.30.2013 at 9:33 am.p. If I had a dog and I hated money, then I’m sure that would still be the last thing I would do with it. Wittyburg says : 06.03.2013 at 3:03 pm.p. I literally laughed out loud — well done, sir. bensbitterblog says : 06.03.2013 at 4:34 pm.p. Saying mean things about others, especially celebrities is my jam. Katie says : 05.30.2013 at 8:46 am.p. I’ve seen them in Petsmart! My boyfriend insisted he take a picture of me with a cardboard cutout of Bret Michaels. At least you’re not liable to STDs with the cardboard version, right?